Last month, I was at my girlfriend’s house for a birthday celebration while her husband was acting as our bartender. Anything you could want or imagine was available to drink. Yet when the bottle of GODIVA chocolate liqueur was spotted, everyone was clamoring for it! 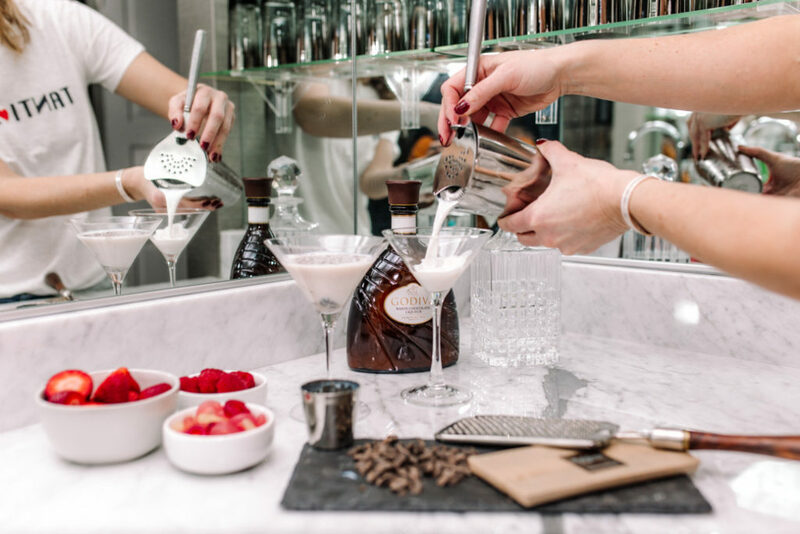 And all of a sudden GODIVA chocolate martinis were being served all around. Truthfully, I am not one to order sweet cocktails or sugary drinks. I like a dry glass of white wine or something tart with tequila! But of course, I had to jump on the band wagon and try one. 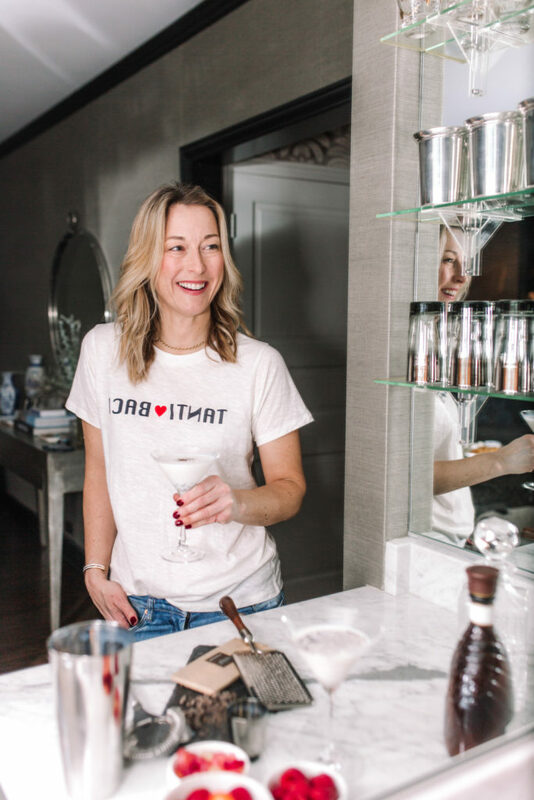 And wow, all of a sudden there is a new favorite cocktail to add to my list! 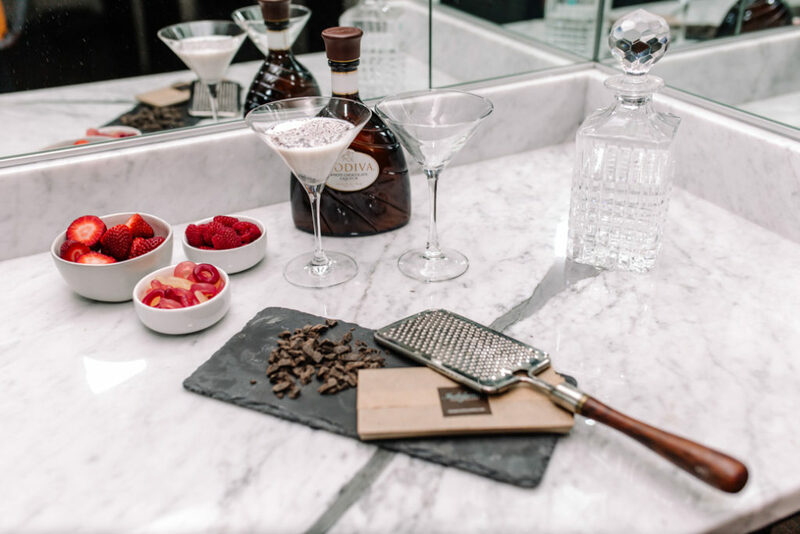 While the GODIVA chocolate martini definitely leans towards the indulgent side, it is just the right amount of sweet. If I had to describe it in a couple of words, “velvety smooth” comes to mind! 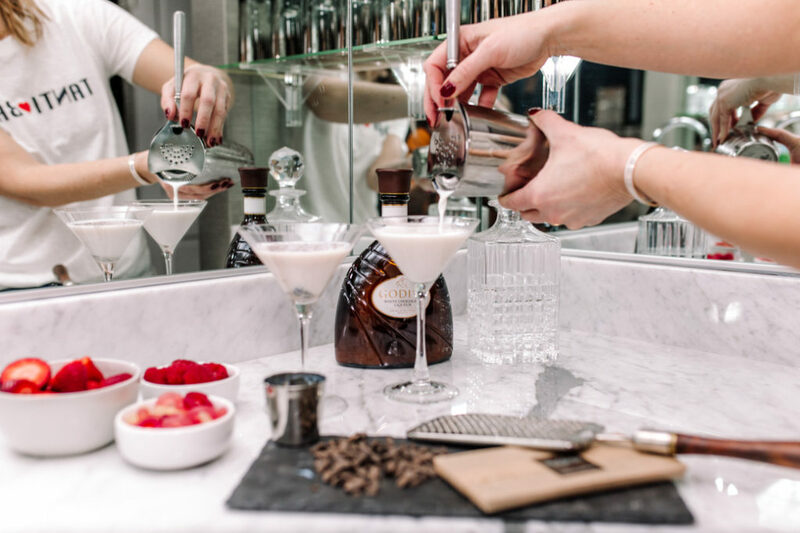 Personally I prefer the white chocolate liqueur (which is odd as I don’t like white chocolate otherwise) but you really cannot go wrong with any of them! I thought this would be a fun cocktail to share this week as we head into Valentine’s Day. Especially if you are like me and would rather have a night in than a night out! Not a lot of work goes into making one but you can doctor it up in some fun ways! 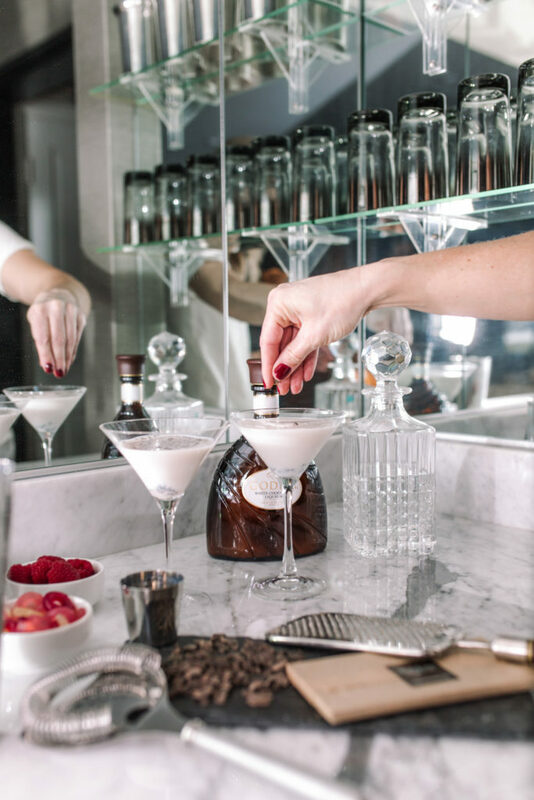 For some extra indulgence, garnish it with just about anything sweet or set the rim with chocolate sprinkles, salted caramel or peppermint candy. 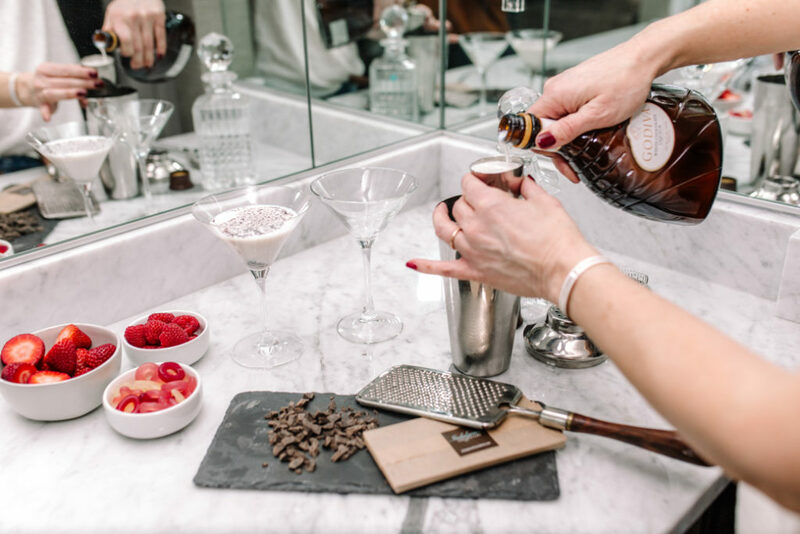 Something to note is that I was not able find GODIVA chocolate liqueur at any of our local grocery stores so a local liquor store is a better bet. Local readers, they have it at Binny’s! 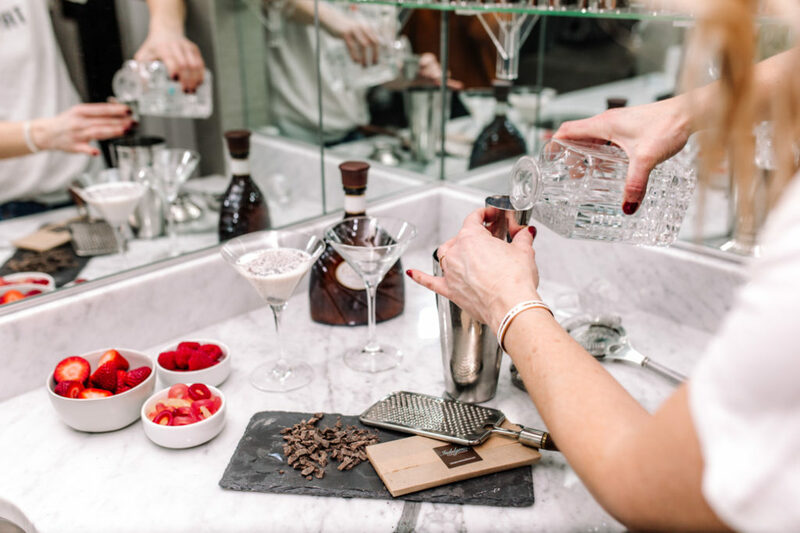 In a cocktail shaker, shake all ingredients with ice and strain into a martini glass. Garnish with chocolate shavings or other garnishment of your choosing! Don’t feel like shaking it up? Take first two ingredients and simply pour over ice into a glass tumbler!